Earn 7.5 DBS points* with every S$5 spent on online flight & hotel transactions (capped at S$5,000 per month). 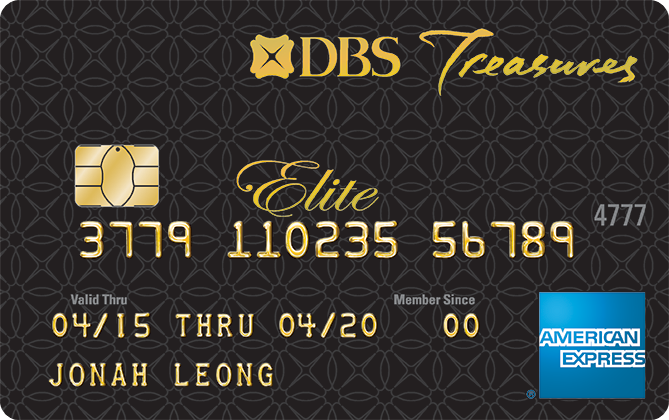 Earn 5 DBS points* with every S$5 spent on all overseas spend (in foreign currency). Earn 3 DBS points* with every S$5 spent on all other local spend. *Points are calculated on each transaction and rounded down to the nearest whole number. 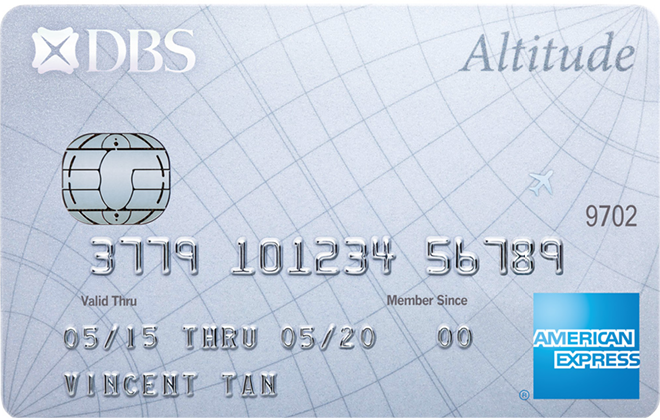 Points earned by Supplementary Cardmembers will be accumulated in the Principal Cardmember's account. Supplementary Cardmembers may utilise the Rewards Vouchers redeemed by the Principal Cardmember. DBS Points will not be awarded for certain transactions, you may refer to our Terms & Conditions to find out more. 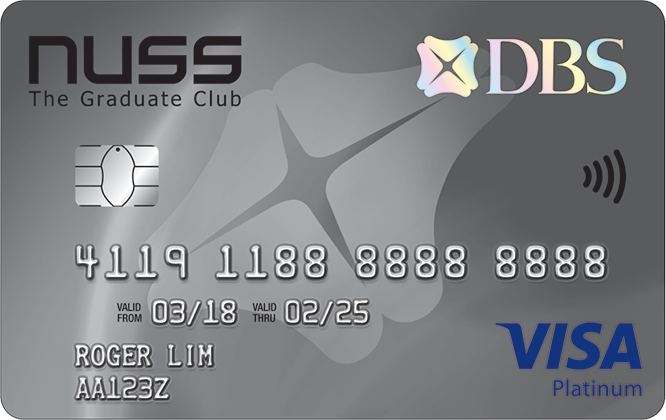 Earn 1 DBS point* with every S$5 spent on all purchases. Expires one year from the quarterly period in which they were earned. Split your purchases into 0% interest instalments for up to 12 months at 0% processing fee with My Preferred Payment Plan. 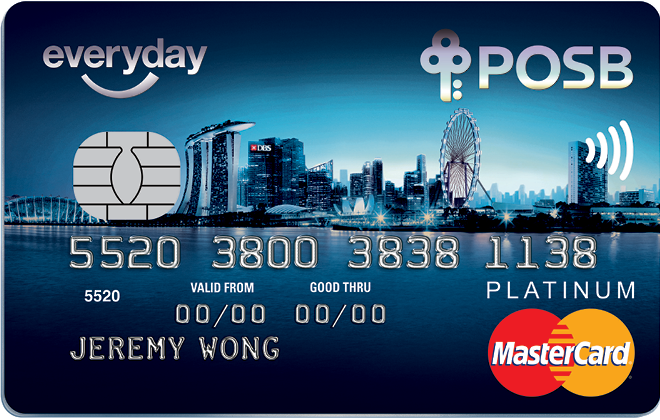 Earn 3 DBS points* with every S$5 spent on local Visa payWave purchases. 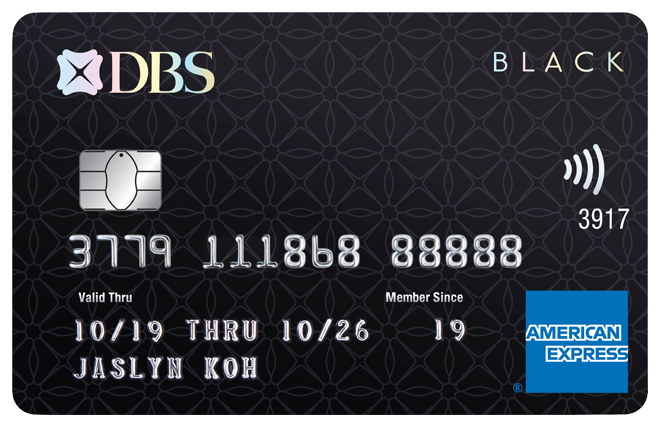 Earn 1 DBS point* with every S$5 spent on all other purchases. Earn 1 Smiles point for every litre of Synergy fuel purchased at any Esso Station or S$10 charged outside of Esso. Enjoy S$10 instant fuel redemption with 300 Smiles points or up to S$30 instant fuel redemption with 750 Smiles point earned. Earn 5% cashback* on Online Shopping & Visa payWave purchases (Apple Pay, Samsung Pay and Google Pay). Earn 0.3% cashback for all other spend. *Simply spend a minimum of S$600 in a calendar month to receive up to S$60 cashback. 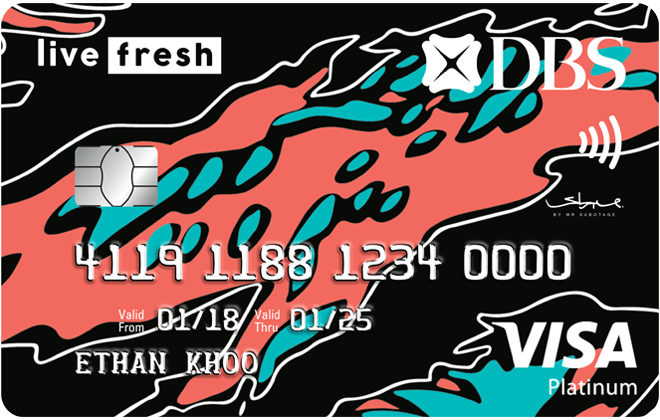 Monthly cashback earned on DBS Live Fresh Card will be capped at S$20 on eligible Online spend, S$20 on eligible Visa payWave spend and S$20 on all other spend. Cashback will not be awarded for certain transactions, you may refer to our Terms & Conditions to find out more. Earn 0.3% cashback on online shopping and Visa payWave purchases (Apple Pay, Samsung Pay and Google Pay), as well as all other spend. 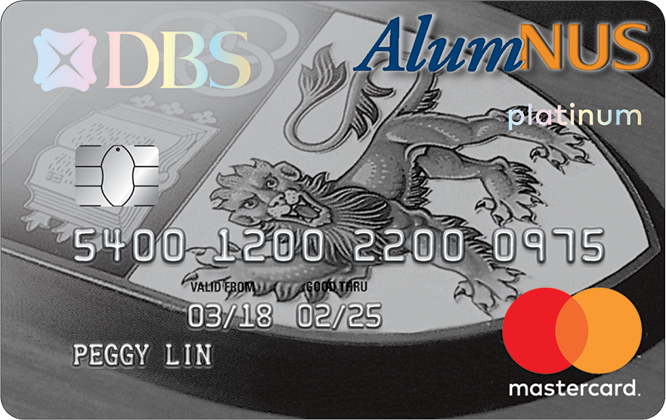 DBS Live Fresh Student Card comes with S$500 credit limit with no income requirement. 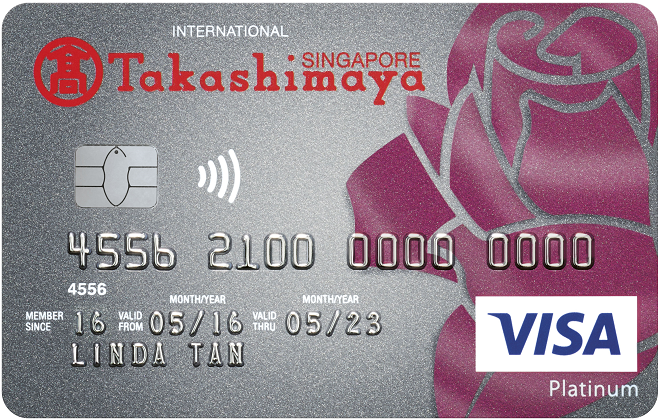 Earn 2 Takashimaya Bonus Points with every S$10 charged at Takashimaya Department Store. 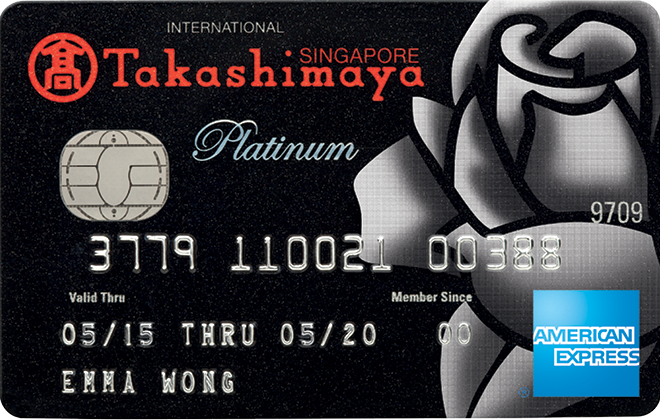 Redeem S$30 worth of Takashimaya Gift Vouchers with every 100 Takashimaya Bonus Points. Receive S$10 Takashimaya Shopping Voucher with every S$2,000 spent outside of Takashimaya Department Store per quarter. Takashimaya Bonus Points will expire according to the expiry date printed on the card. Takashimaya Bonus Points must be redeemed before the card expires; unutilised Takashimaya Bonus Points will be forfeited. Get additional 10% off during selected sale events in-store at Takashimaya Department Store. Enjoy S$6 top-up to your CashCard for parking when you charge at least S$250 to your Card in-store at Takashimaya Department Store. Enjoy complimentary delivery service when you spend certain amounts at Takashimaya Department Store. Earn 2 Takashimaya Bonus Points with every S$12 charged at Takashimaya Department Store. Earn 5 DBS points* with every S$5 spent on online purchases (capped at S$1,000 per month). Earn 10 DBS points* with every S$5 spent on online purchases (capped at S$2,000 per month). 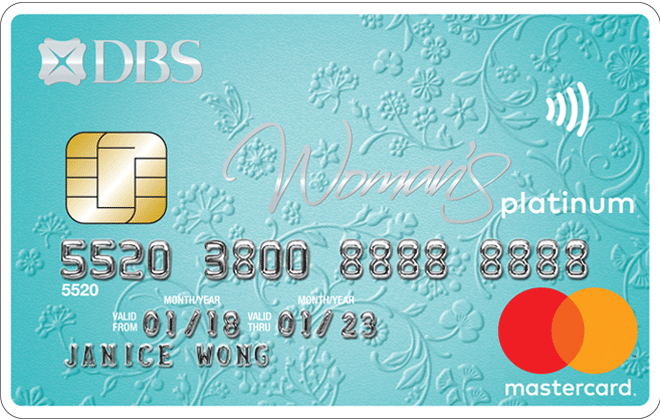 Earn 3 DBS points* with every S$5 spent on overseas purchases. Earn 0.3% cash rebates on all other spend. Offset your purchases on the spot at over 300 participating partner outlets such as Watsons, SPC, Starhub, SP Group and Popular. 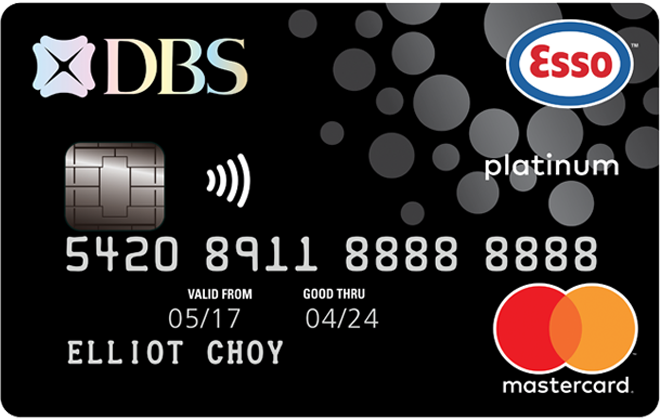 Offset your credit card bills, redeem Comfort/CityCab taxi vouchers or KrisFlyer miles via DBS/POSB iBanking. Earn 3% cash rebate on local MasterCard® contactless transactions and online shopping. 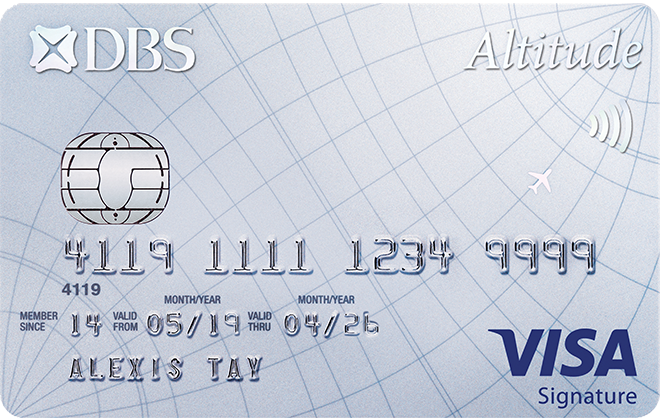 Earn 0.3% cash rebate on all other retail transactions. Expires one year from the issued date in which they were earned. 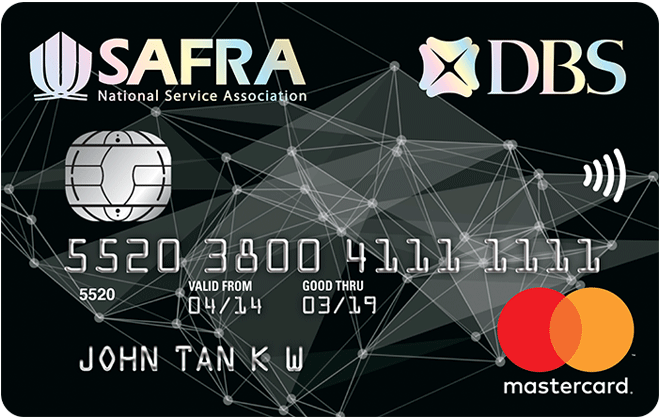 Offset your purchases on the spot at 6 SAFRA Clubs and participating merchants islandwide. 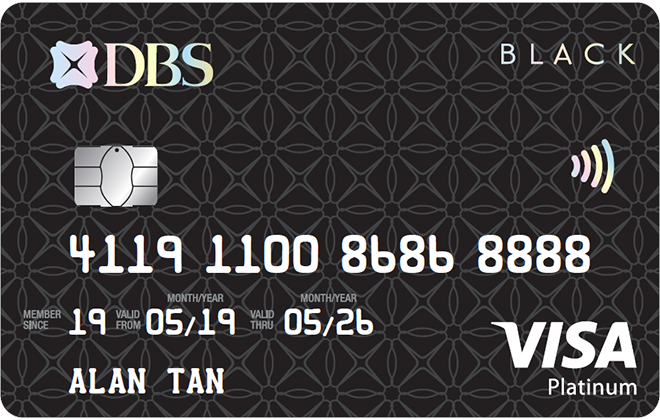 Offset your credit card bills or KrisFlyer miles via DBS/POSB iBanking. Earn 2 DBS points* with every S$5 spend at any of the NUSS F&B outlets. Earn 16 DBS points* with every S$5 spent at selected luxury boutiques. 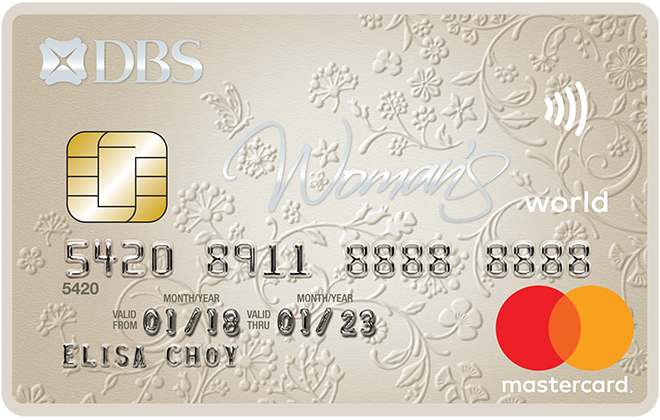 Earn 12 DBS points* with every S$5 spent on overseas purchases. Earn 3 DBS points* with every S$5 spent on all other local purchases.